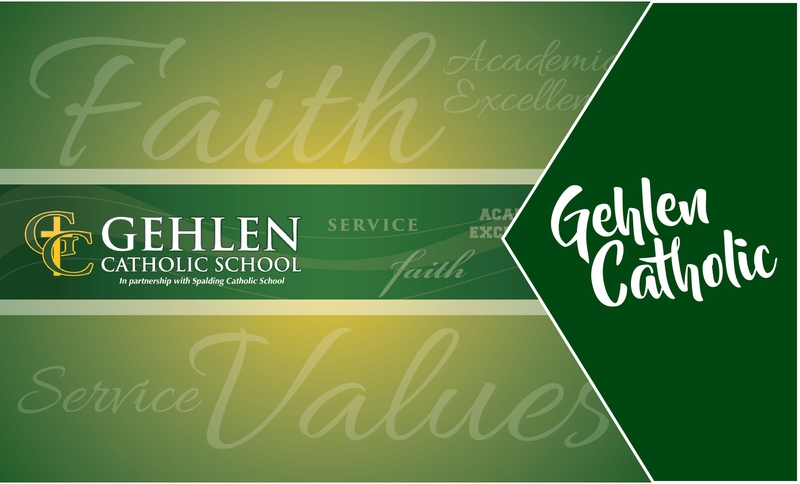 Show your Gehlen spirit with the simple design on fun, new comfortable items. Many of these items are in Irish Green and Kelly Green so that you have a diverse color palette in your closet. You can purchase the standard Gildan short sleeve, long sleeve, crewneck sweatshirt and hooded sweatshirt in Irish Green or Forest Green. The Gehlen Catholic Winter 2018 Fanwear Line will be open from Thursday, Feb. 1 until Thursday, February 15, 2018 at 11:59 pm. A portion of each itemour will go back to the elementary school, Jay Club, and Fine Arts Boosters. If you have any questions please contact Get Branded 360 at 712-546-4911. Fanwear is NOT dresscode approved. The only item on this web store that is dress code approved is the Gildan Crewneck Sweatshirt with the left chest GC cross design.